In the summer of 2015 I co-wrote the official book of the BBC series Would I Lie To You? The other contributors were Peter Holmes, creator of the TV show, and Ben Caudell, Head of Entertainment at Channel Four. Esteemed company indeed. 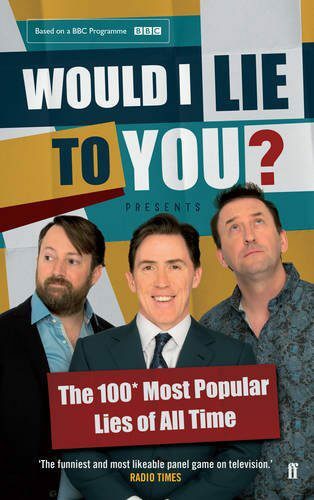 The book is subtitled The 100 Most Popular Lies of All Time and includes interjections by Rob Brydon, Lee Mack and David Mitchell.